The Presidential Elections for our country is going to be held tomorrow. IT's school is the polling centre, hence they have no school today. Yes, Again! He has been having a lot of offs this year, LT who is in kindy, has to go to school more often than him. There's going to be quite a few holidays next week as well, and thereafter, they will be having a week of school holidays. 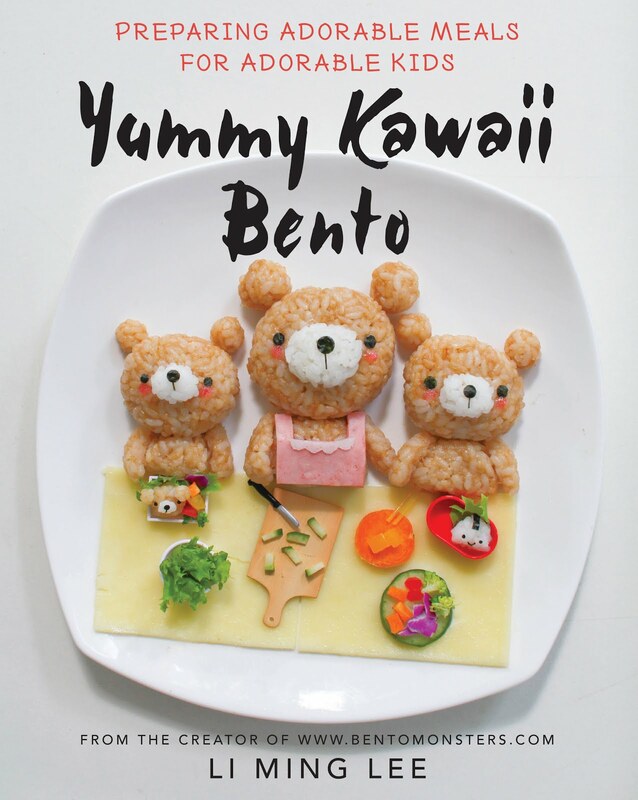 So, I'll be slowing down with the bento making. 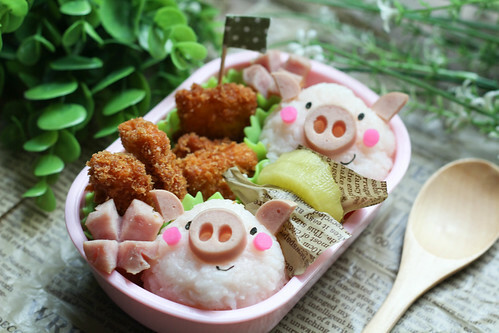 Bento for today is piggies rice balls, as requested by LT. He loves piggies and coincidentally, he is also born in the year of the pig. He has 2 bentos today, coz it's the day he's bringing a lunch box to school. 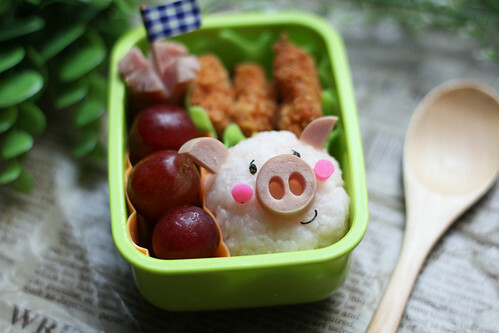 I made IT a snack box to eat with LT when he's back, no lunch bento for him today, as he'll be having lunch with me outside. 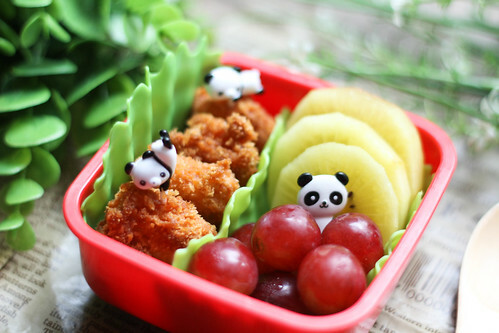 Those are sooo cute! I love pigs!